Explores the causes and effects of ice ages that have gripped our planet throughout its history. This book provides a look at how science is done, how the excitement of discovery drives scientists to explore and investigate, and how timing and chance play a part in the acceptance of new scientific ideas. 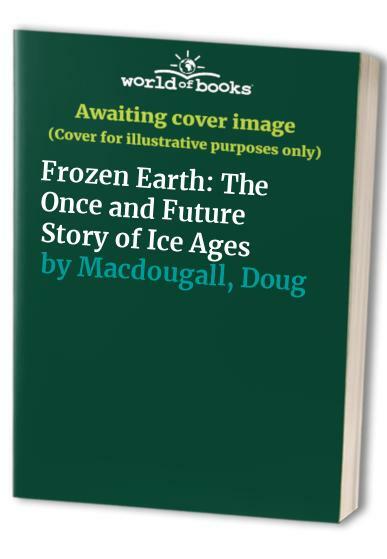 In this engrossing and accessible book, Doug Macdougall explores the causes and effects of ice ages that have gripped our planet throughout its history, from the earliest known glaciation - nearly three billion years ago - to the present. Following the development of scientific ideas about these dramatic events, Macdougall traces the lives of many of the brilliant and intriguing characters who have contributed to the evolving understanding of how ice ages come about. As it explains how the great Pleistocene Ice Age has shaped the earth's landscape and influenced the course of human evolution, "Frozen Earth" also provides a fascinating look at how science is done, how the excitement of discovery drives scientists to explore and investigate, and how timing and chance play a part in the acceptance of new scientific ideas. Macdougall describes the awesome power of cataclysmic floods that marked the melting of the glaciers of the Pleistocene Ice Age. He probes the chilling evidence for 'Snowball Earth,' an episode far back in the earth's past that may have seen our planet encased in ice from pole to pole. He discusses the accumulating evidence from deep-sea sediment cores, as well as ice cores from Greenland and the Antarctic, that suggests fast-changing ice age climates may have directly impacted the evolution of our species and the course of human migration and civilization. "Frozen Earth" also chronicles how the concept of the ice age has gripped the imagination of scientists for almost two centuries. It offers an absorbing consideration of how current studies of Pleistocene climate may help us understand earth's future climate changes, including the question of when the next glacial interval will occur.